Colonial shutters are a very elegant option as they tend to come in more traditional looks. They hinge along the sides of the windows enabling them to close over the window and open as desired. They come in many different shapes and sizes giving the customer countless different options to choose from. 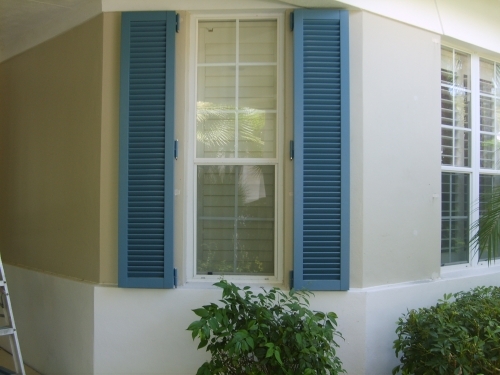 Colonial shutters are usually made out of wood and can be customized to come in a set style or design. As far as colonial shutters go some customers choose to have them installed strictly for the appearance of the shutters. Regardless of the reasons why our customers would like to have them installed we make sure to provide the best possible options for them to choose from. We have experts working in this line of work for many years keeping track of what are the best materials to use, and what are the best possible options to obtain that final product desired.